SKIPPER Mark Evenson has put Bromsgrove’s strong start to the season down to a ‘more relaxed’ environment at the club. 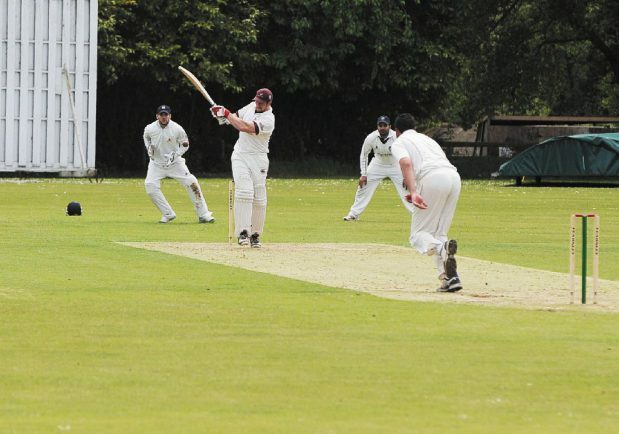 A run of four straight victories and a winning draw against Harborne last weekend has seen Bromsgrove climb to the top of Division One of the Birmingham League. After narrowly missing out on promotion last season, Evenson said he urged his players to go out and enjoy this campaign and said he was pleased to see them flourish. “We have tried not to worry about last year,” he said. “We just said ‘look, let’s try and enjoy it, play some good cricket and the league will take care of itself’, so we have put no pressure on ourselves and we have got off to a really good start. “I don’t think we have ever won the first four games to a season. Obviously, we had a blip in the fifth week, but last weekend we got a winning draw, so to be sitting top of the pile at the moment after six games in is a good effort. Bromsgrove have been in Division One since being relegated in 2009 and Evenson believed his young side were equipped to maintain their challenge to return to the top flight. “We got promoted in 2008 and came straight down the following year, so we have been trying to get back up ever since,” he said. “We are not a million miles away from competing at that level again as we have got a good squad of players.